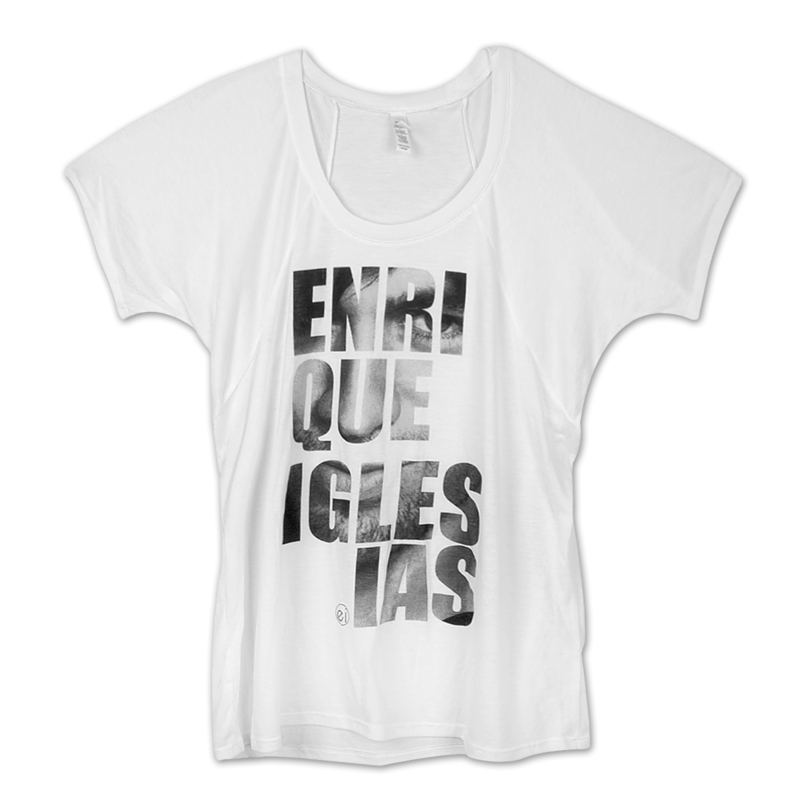 Show your love for Enrique with this draping short-sleeve shirt from Enrique Iglesias. His portrait is subtly noticeable in the letters of his name that are featured across the front. The poly viscose fabrics creates a flowing silhouette paired perfectly with leggings or skinny jeans.